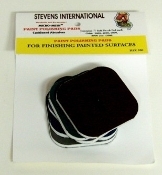 Hobby Stix Swizzle Stick Sanders (25 assorted grits/Bag) Paint Polishing Soft Touch Pads (5 diff grits/Bag) Polishing Swabs 1/4" Long (12 diff grits/Bag) Sandits: 120/180 Grit FlatTip Sanding Stick w/Plastic Stem (5. 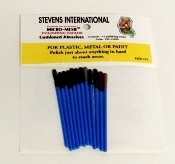 Sandits: 120/180 Grit Round Tip Sanding Stick w/Plastic Stem (5. Sandits: 400/800 Grit Round Tip Sanding Stick w/Plastic Stem (5.